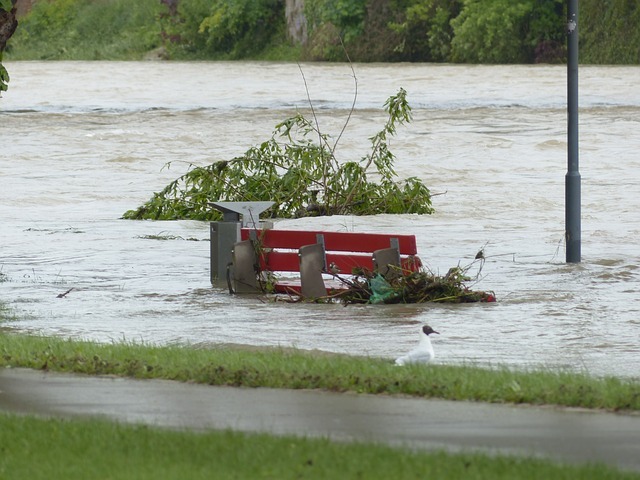 HOUSTON (CN) — Houstonians who fear heavy rainstorms like the ones that flooded their homes last year found no relief in court this week when a federal judge ruled she has no jurisdiction over the city’s flood-control projects. Residents Against Flooding, a nonprofit, sued Houston during the spring 2016 rainy season that brought the wettest 60 days on record for Houston, when a series of low-pressure systems stalled over the city, unleashing flood waters that forced thousands of people to flee their homes. The nonprofit’s members, five of them plaintiffs, live in and around the Memorial City neighborhood, 13 miles west of downtown near Interstate 10. “Many Houston residents live in fear of rain. Their homes have flooded so dramatically that each rain shower prompts visceral alarm. If they are away from their home during rain events, all they think about is returning, to save what they can from floodwaters,” the nonprofit says in its lawsuit, amended in October last year. Experts blame the proliferation of impermeable concrete in the city and say there aren’t enough storm water detention ponds. Houston sprawls across 627 square miles, more than half the size of Rhode Island. Desperate to save their homes from the next deluge, Residents Against Flooding sued Houston and Reinvestment Zone Number 17, a redevelopment zone run by a seven-member board of directors appointed by the Houston City Council. These zones subsidize development in rundown areas by setting aside property taxes to finance projects. Houston created Zone 17 in 1999 and expanded it to roughly 1,000 acres along Interstate 10. The homeowners claim in court filings that the Zone 17- and city-approved private commercial development elevated the building sites, causing more stormwater to run off into surrounding residential neighborhoods. The city and Zone struck a deal in 2003 that called for construction of five detention ponds north and south of I-10 in the plaintiffs’ neighborhoods, according to the amended complaint. But so far, only one detention pond has been built. Over the past decade, the nonprofit says, the Zone has given funds to pointless projects, including $23 million to landscape an old detention pond for a subsidiary of property developer MetroNational, which owns lots of properties in the Zone and was instrumental in its creation. The homeowners say “governmental action” flooded their homes, depriving them of due process and property rights, and seizing their property in violation of the Fourth and 14th Amendments. They also made claims under Texas law. They asked for injunctive and declaratory relief to stop the city from issuing building permits on large lots in Zone 17 until a study is done that shows construction will not increase flooding in three neighborhoods, and for appointment of a special master to oversee the Zone’s expenditures and projects. U.S. District Judge Melinda Harmon dismissed the case Tuesday, finding Houston and the Zone are protected by governmental immunity. “In essence plaintiffs seek to make the city help them before any others in or near TIRZ 17 with respect to Houston’s flooding problems, infrastructure needs, and community development. They ask the court to take over city government functions,” Harmon wrote in a 128-page order. She said the homeowners’ claims vaguely refer to neighborhoods without giving the plaintiffs’ addresses, and that they cannot prove the city purposely damaged their homes. “Plaintiffs seek to recharacterize what at most is negligence into a series of constitutional violations[;] the actuality is that none of defendants took any action or adopted any unconstitutional policy with the intent to flood plaintiffs’ properties,” wrote Harmon, a President George H.W. Bush appointee and former Exxon Mobil lawyer. Harmon agreed with Houston that the Zone also has governmental immunity because it is not a separate entity from the city. Residents Against Flooding’s attorney Mary Conner told Courthouse News she thinks Harmon’s order “missed the mark” and she is discussing an appeal with her clients. She said the Zone’s projects have transferred “flooding blight” to the plaintiffs’ neighborhoods, and cited the $23 million detention pond beautification project as a prime example of the Zone’s waste of taxpayer dollars. “This type of favoritism and self-dealing by TIRZ 17 is quintessential arbitrary governmental action, and the Constitution allows plaintiffs to bring suit against it,” Conner said.